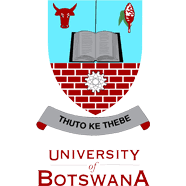 The workshop is jointly organised and funded by the University of Botswana Computer Science Department, North-West University's eResearch Initiative, and Talarify. The international instructor's travel to South Africa was funded through the South African DHET's Rural Campus Connectivity Project II. Where: Lab 293, Block 247, University of Botswana . Get directions with OpenStreetMap or Google Maps. When: Oct 19 - 20, 2017. Add to your Google Calendar. Contact: Please email anelda.vdwalt@gmail.com or Tshiamo.Motshegwa@mopipi.ub.bw for more information.